quote for as little as $12/month. Square One Insurance Services offers the only home insurance policy in North America that can be personalized to your individual needs. We provide a broad range of options that will meet virtually everyone’s unique circumstances. After writing 9,267 reviews and rating Square One 4.7 stars out of 5, it’s clear customers love the way we’re changing home insurance. Unlike traditional home insurance providers, you’re not forced to buy protection you don’t need or want. If you are a home owner but do not have a detached garage, for example, you can choose not to add protection for detached structures to your policy. Provided below is information on the various coverages and deductibles our home insurance policy offers, and the loss types it insures against. Policies start at $12/month if you rent your home and $40/month if you own your home. To see how much you can save with Square One, get a personalized online quote now. You don't want to be caught without the right coverage when the unexpected happens. The comprehensive policies offered by Square One automatically protect against break-ins, burst pipes, earthquakes, fires, hail storms, and water backups. When you buy home insurance from us, the experience is straightforward from quote to claim. 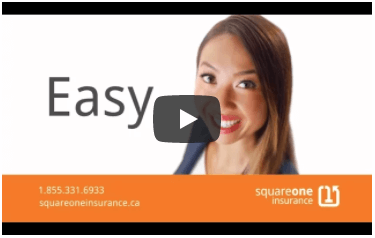 Click on the tabs below to learn about the coverages, deductibles, protection and claim service offered by Square One. You can also download sample policy wordings. Traditional providers don’t give you much control when it comes to insuring the contents of your home. They include pre-packaged protection that is based on your house’s rebuild cost. And, they automatically include protection for specialty property whether you own it or not. A policy deductible is the amount you must pay before your home insurance policy will respond. For example, if your $2,500 laptop is stolen and the claim is subject to a $1,000 deductible, you must pay the first $1,000 and your policy will cover the remaining $1,500. The higher the deductible you select, the lower the premium you pay on your insurance. For complete details on what is and isn’t covered under your home insurance policy, please refer to your policy wordings or speak with one of our licensed agents by calling 1.855.331.6933. You can also download sample policy wordings by visiting the next tab.